The country’s economy is one of the most robust in Central Europe. Poland accessed the OECD in 1996, the NATO in 1999 and the European Union in 2004. Poland’s economy was the only one in the EU to avoid a recession through the 2008-09 economic downturn due to its strong domestic market, low private debt, flexible currency, and not being dependent on a single export sector. Poland has a large number of private farms in its agricultural sector, with the potential to become a leading producer of food in the European Union. Poland is recognised as a regional economic power within East-Central Europe, with nearly 40 percent of the 500 biggest companies in the region (by revenues) as well as a high globalisation rate. The country’s most competitive firms are components of the WIG30 which is traded on the Warsaw Stock Exchange. Commodities produced in Poland include: electronics, cars, buses, helicopters, transport equipment, locomotives, planes (PZL Mielec), ships, military engineering, medicines, food, clothes, glass, pottery, chemical products. 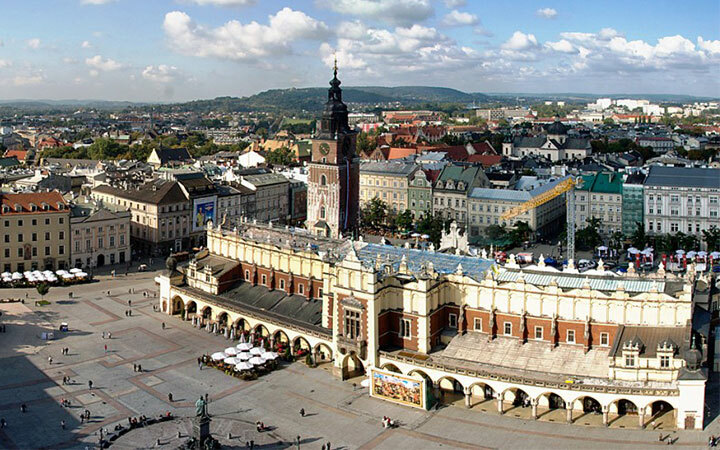 In Poland, the average household net-adjusted disposable income per capita is $16234 a year. In Poland, the average net adjusted disposable income of the top 20% of the population is an estimated $31305 a year, whereas the bottom 20% lives on an estimated $6403 a year. People in Poland work 1929 hours a year, more than the OECD average of 1 765 hours. 60% of people aged 15 to 64 in Poland have a paid job, less than the OECD employment average of 65%. Estimated 83% of individuals with at least a tertiary education have a paid job. Young Polish people aged 15-24 however are facing difficulties, with an unemployment rate of 26.5%. Since the United Kingdom, Ireland and some other European countries opened their job markets for Poles, many workers, especially from rural regions, have left the country to seek better wages abroad. There are 500 organisations for the pursuit of higher education in Poland. There are 18 fully accredited traditional universities in Poland. There are twenty technical universities, nine independent medical universities, five universities for the study of economics, nine agricultural academies, three pedagogical universities, a theological academy and three maritime service universities. The Jagiellonian University, founded in 1364 by King Casimir III in Kraków, is world’s 20th oldest university. The Commission of National Education, established in 1773, is the world’s first state ministry of education. The University of Warsaw, the Jagellonian University, The AGH University of Science and Technology, the Warsaw University of Technology, the Adam Mickiewicz University in Poznań, the University of Wrocław, the Nicolaus Copernicus University in Toruń, the Wrocław University of Technology, the University of Silesia have been listed by the Center of World University Rankings in 2014. 89% of adults aged 25-64 have earned the equivalent of a high-school degree, higher than the OECD average of 75%. Poles can expect to go through 18.3 years of education between the ages of 5 and 39, more than the OECD average of 17.7 years.